Rural areas of North America are punctuated at measured intervals by small churches, steeples rising above the farmsteads. They recall a time when the church strove to be within reach of every farm and home. While many of the farmsteads are now abandoned, and the descendants of those farmers dispersed, the churches remain. Some struggle on with few in attendance, led by a minister who has driven from a central town. Clergy and parishioners find it disheartening and often beyond their financial abilities to keep a small church maintained. Many parishes close those little churches, but too often the habitués of the pews do not choose to journey to the town church. Most church-goers would agree that the small church has to be more than a place to sit for an hour on Sunday. It is meant to be more than building or a meeting place, or even a gathering of like-minded people; the church has a mission to the world, no matter how small the local gathering may be. But small churches do need to close, more often than desired. No minister can be found, or the local population cannot afford to maintain the building. Isolated buildings may be sold for less than market value; some may be transferred to new ownership for almost nothing. Churches are interesting structures in themselves, especially the older ones of a century or more. They are usually timber frame, open to the roof, big spaces for the overall dimensions of the building. Steeples provide a panoramic view of the countryside, if access is still possible. Anyone who has spent much time in a country church has daydreamed of the possibilities of using such a space. The negatives of re-using a church building are that it is probably not insulated, has inadequate heating, plumbing, and kitchen facilities, and may be in a very exposed location, or on poor soil. My experience with rural churches is that a hundred years or more ago, whoever donated the land for the building was fairly certain the situation was not amenable for anything else. 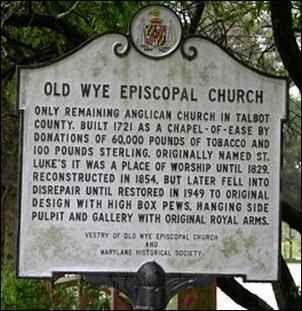 For a year or so, I attended a colonial-era church, Old Wye Episcopal Church, in Talbot County, Maryland. It had been restored after World War II, after falling into disrepair in the previous century, and used as a sheep barn. This is not the sort of use most parishes want to see for a repurposed church building! 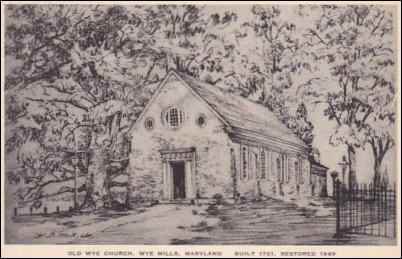 In my journeys around New England and Canada, I saw old churches re-used as stores, in a range from thrift stores to antique stores, as studios, tea rooms, workshops, and nightclubs. The most successful renovations were those used as homes. Church buildings are sometimes listed by real estate agencies. There are agents who specialize in church buildings, (loopnet.com, churchrealty.com) but the smaller, isolated, local buildings may be only listed with an area real estate agent, or even just advertised within the denomination. If an apparently unused church catches one’s eye, it is best to stop in and ask a neighbor to the building. Rural people know what is happening in their area in more depth than a real estate agent in a nearby town or even in the denomination’s home office. Buying an old church, no matter what the price, is a more serious undertaking than buying most buildings. Local people may have a strong attachment to the building as the place where they were baptized, taught, married and said goodbye to loved ones. Local history may attach significance to a church. The secular use of a church may offend some neighbors. A sensitivity to what people remember of that building may influence what potential use the church may have. Many people were offended when a surplus Methodist chapel was used as a nightclub. Even the conversion of a church to a private community club offended others, when gambling was allowed in the club. 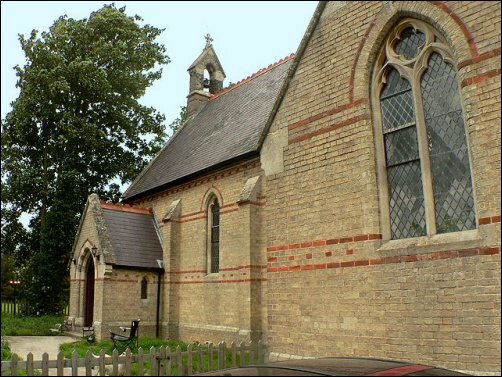 The process of offering a church for private use begins with a decision, usually made within the local church council, to close the church as a worship facility. Some may get continued use for Sunday Schools or funeral chapels, but older buildings are expensive to maintain and heat, and eventually, a church council will decide they can no longer make use of the facility. The church council and the denomination’s governing body will make a final decision. Most denominations have a process for deconsecrating a church; that is, removing it from its original purpose for worship. Often, church buildings are then torn down or sold for their components such as timber and windows, but one that is in fairly good structural shape may be offered for sale. Anyone interested in an unused building that is not yet on the market may have to move fast if the structure is destined for demolition. It is worth taking the time to get an appraisal from an architectural engineer before negotiations go much farther. This is an expense, but much less expensive than the major repairs a deteriorating timber frame building will require. It is best to avoid getting too romantically attached to an old church before purchase; many have been neglected for decades, with inadequate foundations and rot in the structure. One can take it for granted that the roof will need to be replaced. Very few older churches have been adequately insulated. Stained glass windows are not thermally efficient, and are expensive to restore and maintain. Water supply may be non-existent, or shared with other buildings. Almost certainly, the septic system—if any—is antiquated. Assume that the building is nothing but a shell that will need complete renewal and entirely new systems. That lovely lofty ceiling will eat up both heat and cooling, because of basic Newtonian physics. Choir lofts and balconies may require new support for safety reasons, and certainly if walls are to be erected in them. Stairs to upper and lower reaches probably are narrow and dimly lit, with worn treads and possibly with no handrails. Not all church buildings have steeples. Some may have separate bell supports, or attached bell towers, or none at all, having never had a bell. Bells are problematic. They are usually blessed objects, like altars. They are not easy to remove, and may remain in the building. The main problem is that they hang from wooden braces, and are exposed to the elements. Unless these bell supports have been inspected and maintained, they inevitably rot and the bell comes tumbling down. I knew a priest badly injured when his bell came through its support and hit him. As for bats, I recommend a professional to remove and rehome the bats, if possible, and another professional to clean up the guano. Despite all the trouble and expense in repurposing an old rural church, it can be a meaningful place to make a new life. As a studio for an artist, stained glass artisan, weaver or luthier, the light-filled space and sense of peace are inspirational. As a home, a lot of beautiful space can be had for sweat equity. 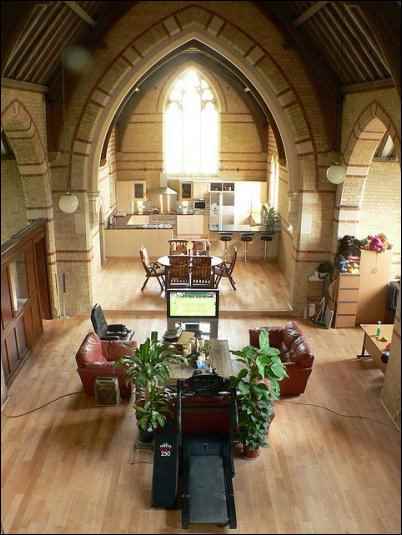 An old church has all the spacious proportions of an industrial loft apartment, without having to live in a city. It has the grace and antiquity of an old barn, without the animal smells. (Old Wye Church excepted.) Many of my church-going friends said they would love to live in an old church, circumstances allowing. 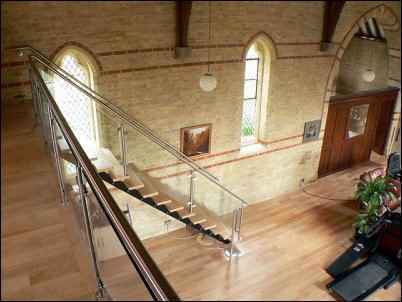 Even those who are not church-going say they would like to experience the history and art of living in a renovated church building. Large urban churches are sometimes converted to condominiums or apartments, but since most rural churches are relatively small, seating 100-300 people at most, they are most suitable for single-family homes. They are also suitable for green alternatives for heating, hot water, and electricity. Lots of roof, usually oriented east-west (altars are traditionally in the east end of the church), solar panels and basic solar water heating are practical. Many churches will have oil furnaces; I have served in a couple that still had wood-burning stoves. With suitable foundations, a Nordic-style tulakivi would be an excellent source of heat and cooking surfaces. How much of a conversion is needed depends entirely on the potential use and pocketbook depth. Most rural churches will look great with natural materials for room dividers and flooring. Old pews can be disassembled for wide boards for walls or furniture. Pews are often sold separately, but in some areas, there may be very many already on the market, so it is worth negotiating for them if they are still in the building. Most likely, other furniture will be removed, especially an altar. But pulpits, lecterns, cabinets and even confessionals may be left behind, as impractical to move or sell. Any consecrated items left behind (and usually nothing but an altar is truly consecrated) will have been deconsecrated, and are considered just furniture. Sometimes a church to be sold will lose its stained glass windows; sold separately or moved to another church. This is getting less practical with high expense for refitting or repairing windows. True stained glass, of glass pieces fitting into a metal frame, is both long-lasting and incredibly delicate. Good stained glass is expensive to maintain, as it needs regular tightening. I would recommend getting an appraisal and repair estimate about stained glass before purchase. Plexiglass panels are often fitted on the outside of stained glass windows to help protect and support them; again, if this has not been done, it can be a big expense. They are, on their own, very drafty. Painted “stained” glass is usually of regular window panes, but the glass may be old and thin. Painted glass still needs some sort of storm window or plexiglass protective panel. And just to let everyone know right now: do not clean painted glass with ammonia-based cleaners. The detailing will dissolve. Regular soap and hot water, followed by a soft, lint-free cloth is all that it needs. Many older churches are basically a timber-frame shell into which the new owner will put rooms, appliances, and furnishings. Some churches may actually have restrooms to which a shower or bath can be added, and a full kitchen. Often these are commercial type kitchens. Be prepared to deal with a monstrous black gas range and industrial sinks, or a tiny alcove with just the basics installed for meeting time coffee and sandwiches. Churches are great repositories for outdated appliances and furnishings, and likely, no one is going to reclaim them before the sale. I suggest checking the usability of all appliances that are conveying. One of the oddities of buying an old church is that the purchaser and potential homeowner may be living with a cemetery in the yard. Most denominations will not sell a building for re-use on that site if the cemetery is still in active use and they anticipate more burials there. But some cemeteries have been closed for burials, and may be old enough that immediate family of the deceased no longer have a continuing interest. I have lived in rectories with cemeteries surrounding the property and lawn. This does not bother me. But the idea may need good, hard consideration before undertaking. An historic burial ground on one’s property probably needs to be fenced and notice posted that it is private property and permission must be obtained before entering. And I hope it goes without debate that the graves should be left undisturbed, and the cemetery maintained with mowing and perhaps a little ornamental flower planting. I would follow the English model of putting sheep in a fence on the cemetery. They will keep it trimmed without damage, and are happy with a basic shelter off to one side. A rural church is a symbol of peace and rest. Often set in bucolic surroundings, a repurposed church building can be a refuge in the country. The interior can be as elaborate and luxurious as one can afford; there is one big space to be creatively converted. Or it can be plain, rustic, or beautifully stark. Living with stained glass saints can be a way of keeping wonderful company. Finding Community on the Homestead: Your People are Out There.